Nathan Ignacio is a very talented multi-instrumentalist and singer-songwriter. His extensive repertoire includes guitar, dulcimer, mandolin, harmonica, piano, and bass, playing many of these simultaneously during his one-man-band shows. 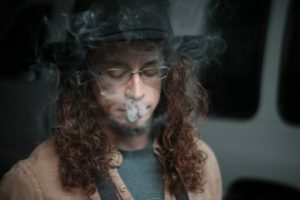 Ignacio’s style is primarily born of the rock, bluegrass, and Americana genres and last year, he released the solo album, titled “A Step Behind,” consisting mostly of original compositions. Both in recording and in live performance, he demonstrates his knack for variety, by using carefully selected cover songs to broaden his musical story. Nathan totally wowed the crowd last Fall Festival, during his set at the Sunday morning Revival. In fact, he has been playing music, at Strawberry, for so long that it might come as a surprise that this will be his first performance on the Main Stage. We’re very excited for Nathan Ignacio to open the Spring 2019 Strawberry Music Festival, at 5:00pm on Thursday, May 23rd, and we hope to see you there! 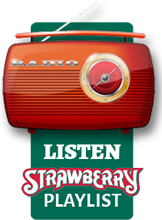 Wherever you are, support live music in your local area, and then bring your stories of your favorites with you to this year’s Strawberry Music Festival, May 23rd – 27th, at the Nevada County Fairgrounds, in Grass Valley, CA. To get camping tickets at the winter discount, set to expire in just two days, visit our website or call our office M-F, 9-5 at (209) 984-8630.